The new trailer for this November's Justice League film is here. The film brings Wonder Woman, Aquaman, Cyborg, The Flash, and Batman together in a world that needs heroes to save it after the death of Superman in Batman v Superman: Dawn Of Justice. 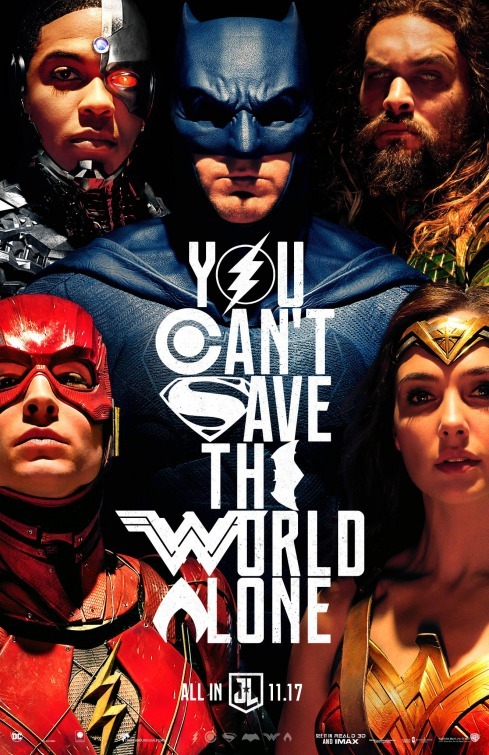 The poster to the right is a beautiful tribute to the art of Alex Ross and brings the league together with a powerful tag line. Justice League arrives in theaters this November and is directed by Zach Snyder.